Jerry Lee Carr, who founded the Kosher Food Pantry with his wife Bobbie, passed away Sept. 25, 2009, in Denver. The service, which was filled to capacity, took place Sept. 27 at the HEA. Rabbi Bruce Dollin and Cantor Martin Goldstein officiated. He was the most terrific husband, father and friend, the family told the IJN. Everyone should have a friend half as good as him. Mr. Carr was born May 28, 1930, in Denver. He attended Colfax Elementary and Lake Junior High, and graduated from North High. He worked in the scrap metal business. Mr. Carr married Barbara Bobbie Cohen on Oct. 11, 1953. 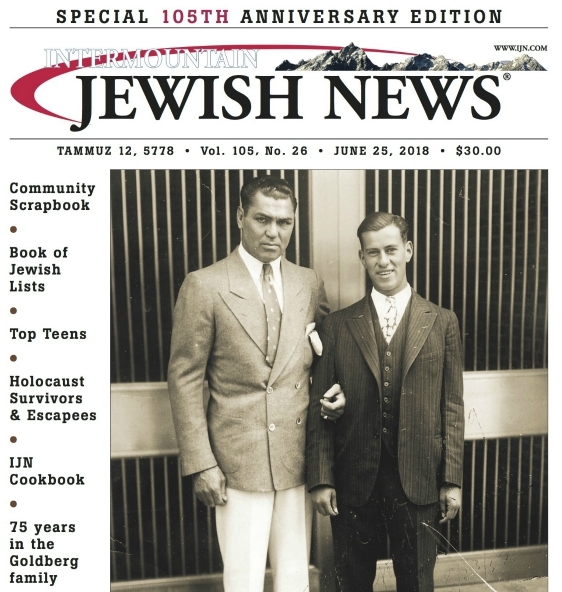 A highly visible force in Denvers Jewish community, Mr. Carr was past president of the Allied Jewish Federation and JFS, and served on the boards of Shalom Park and the Parkinsons Foundation. Mr. Carr is survived by his wife Barbara Bobbie Carr; daughters Shelley Carr and Julie Carr; sister Joyce (Harlan) Bockman and brother Ronald (Patricia) Carr; and grandchildren Yael and Samuel Maxwell. Contributions may be made to the Parkinsons Assn. of the Rockies, Multiple Sclerosis of Colorado, or Porter Hospice at Johnson Center. Read the IJN editorial eulogizing Jerry Carr.